At the city center western periphery, Wadi Abou Jamil commands superb geographic and natural qualities. A gentle topography cascading towards the seashore and a cluster of stone buildings with terracotta-tiled pitched roofs, loggias and harmonious pastel colors define it as a Levantine Mediterranean hill town. Together with nearby Zokak El Blatt, it has preserved buildings from the 1930-1950s, turn of the twentieth century central hall Lebanese houses, and the Beirut's only surviving synagogue: Maghen Abraham. High ceilings, generous verandas, loggias and private gardens, fine woodwork, wrought iron, marble floors and decorative false ceilings are further evidence of their former splendor. Heritage mansions are restored to house private art and antiques collections like the Mouawad Museum, or converted into boutique hotels, or grouped as town houses. Solidere has initiated, with the developers, the design and implementation of clustered developments involving infill construction together with restoration. These clusters define the future urban and architectural character of the neighborhoods. Construction generally planned around an internal garden courtyard, is inspired from the traditional central hall model and enhanced by using more articulate forms and modern features. The apartments, with private gardens and interiors of grand standing, offer exclusive residential accommodation combining luxury, modernity and privacy. 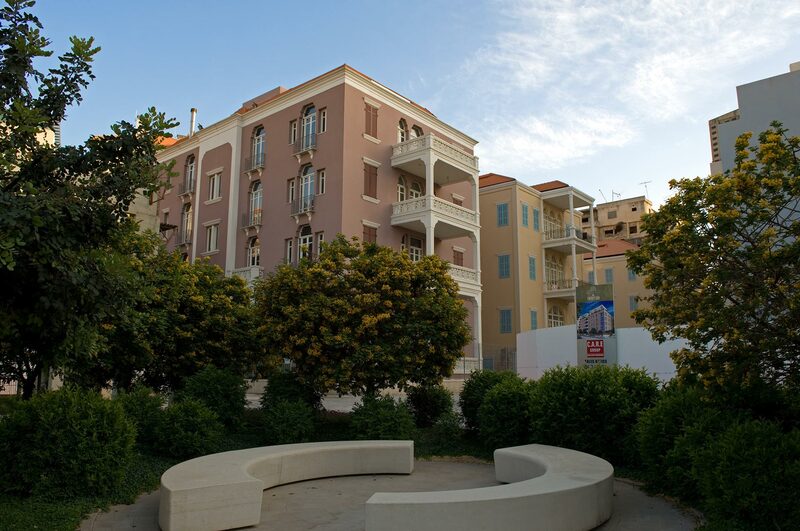 Residents enjoy a quiet neighborhood designed around a large communal garden with club facilities. Integrated into this fabric, Wadi Abou Jamil garden, pedestrian alleys and small piazzas establish the basis for an urban village tradition, with narrow single lane streets and tight sightlines that encourage slow driving and no through traffic.